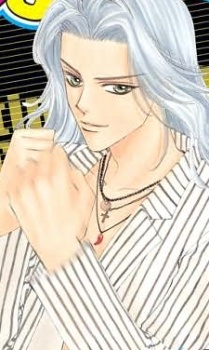 Childhood friend and Elle's ex-fiancé, he's a professional martial artist. Elle only sees him as a big brother, who gave her comfort when they were younger. He tends to put his male groupies up against anyone Elle may like or have a crush on, which makes her very distant from other men. In Volume 2, Ruo finds out that Kazuki has a younger sister and uses her for revenge by visiting her everyday and giving her flowers, he also blackmails Kazuki with surgery money for Kazue's eye operation if Kazuki will leave Elle alone. Kazue soon finds out it was all a hoax and cancels the operation (and even her relationship with Ruo).